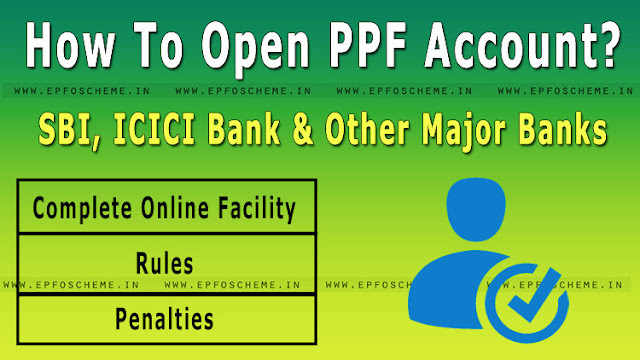 How To Open PPF Account In SBI & ICICI Bank | Best Bank To Open PPF Account | Rules To Open PPF Account | December 2018 – Welcome to epfoscheme.in, Here in this article, we’ll let you know that how you can open your PPF Account easily in some of the major banks like SBI Bank, ICICI Bank, HDFC Bank & More. So we’ll cover some of the major queries on this page. we highly recommend you to read the complete article. As of now, there are still some of the available banks and Post Offices who has not developed their online platform to avail such facilities. Result? many of the members/investors are not interested to invest in the PPF Account. Because all of us love the online facilites. Which Banks Offer PPF Account Opening Facility? Currently, there are many banks who offer the facility to their customers to open PPF Account Online and Fund Transfer Online. But on the other hand, there are still some banks that do not provide online fund transfer facility. The interest rate changes on a quarterly basis as per the Government guidelines. The invested amount in PPF will be eligible for deduction under Sec 80C and maturity interest is tax exempt. The max number of investments per year is not more than 12. One person can only open a single PPF Account on his name. The limit of combined investment should not be more than INR 1,50,000. The min investment is INR 500/- and max investment is INR 1,50,000/- a year. The person can extend their term a bit further in block years of each 5 years as long as you wish. Where the normal term of PPF is 15 years. Why? Because they will only earn the interest of the savings account from the date of their NRI status change to the date of closure of the account. People like us knows how easy the online methods are, doesn’t matter on which field it is. Like in the financial field, all we want is to watch the status of the Online transactions, Online investment & more. Well, The ICICI Bank has set up the complete online facilities for their customers to instantly open the PPF account online. What About SBI? The SBI has also set up the online facilities for their customers but we can not say that it is 100% online. Well, as of now. ICICI Bank said that they are the very first bank in India who offers the facility of Opening a Public Provident Fund account instantly. To instantly open a PPF Account very easily. The person must be a customer of the ICICI Bank. The Person must have a Savings Account in ICICI Bank. You must use be a user of ICICI’s Internet Banking, Mobile Banking. Your Aadhaar must be linked to your ICICI Bank Account. If your aadhar is not linked then you must provide it during the time of opening the PPF Account. The mobile number which is linked to your Aadhar Data must be active because it will be used to send you an OTP & other e-sign formalities. 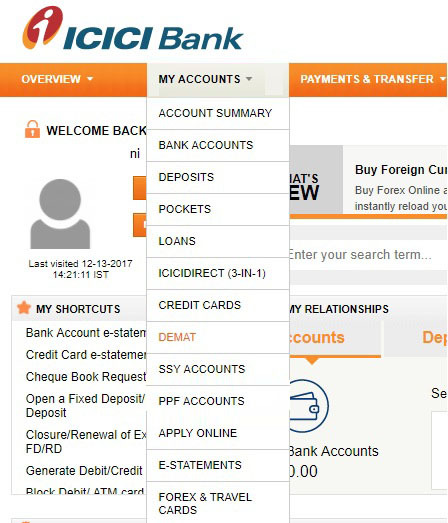 Step 1 – The person has to visit the official ICICI Bank Portal. Step 2 – Complete the login process using your login credentials. 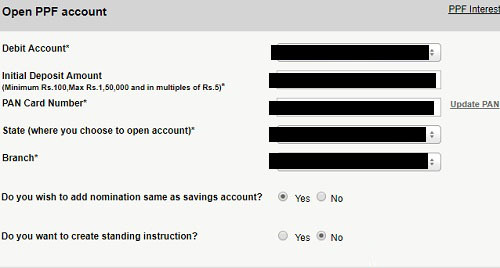 Step 3 – Go to the “MY ACCOUNT” section and select the “PPF ACCOUNT” from the drop-down menu. Step 4 – A new window will now pop up. Showing you the benefits of opening PPF Account. You can read it if you want to or just click on the “OPEN NOW” button. Step 5 – You will now re-direct to a new window where you have to Select the branch, enter the amount that you want to initially deposit. Step 6 – Hit Proceed button. Step 7 – On the next window, you will able to see your account personal details like name, address, mobile number and email id, and nominee details. Step 8 – Now you have to complete the Aadhaar Authentication. When you click on the “Get OTP”. You’ll instantly receive an OTP on your mobile number which is registered with your Aadhar. Step 9 – Finally, fill the received OTP on the respective field and hit “Proceed” button. Congratulations, Your PPF Account will now be created successfully and The account number of PPF will be displayed on your screen. Step 1 – The person has to visit the official SBI Portal. Step 3 – Go to the “e-services” section and select the “NEW PPF ACCOUNT“ from the drop-down menu. Step 4 – The next step is to enter the Branch code in the respective field. Step 5 – Now, fill in the nomination details and hit “Submit”. Step 6 – You will get a reference number on your screen. Step 7 – Finally, Print the account opening form and visit the branch with KYC documents and a photograph within 30 days. SBI will do the further procedure and your PPF Account will be successfully open. Well, do share it with others using our given social media buttons down below. Why? because sharing is caring.